Believe it or not, for the measly sum of £160 you could become a walking Wi-Fi hotspot. And, as if that wasn’t already enough of a killer opening line to use at the bar, you could also have 2GB of USB storage at your fingertips. Well, wrist-tips if were being specific. Hang on, is there such a thing as the tip of the wrist? 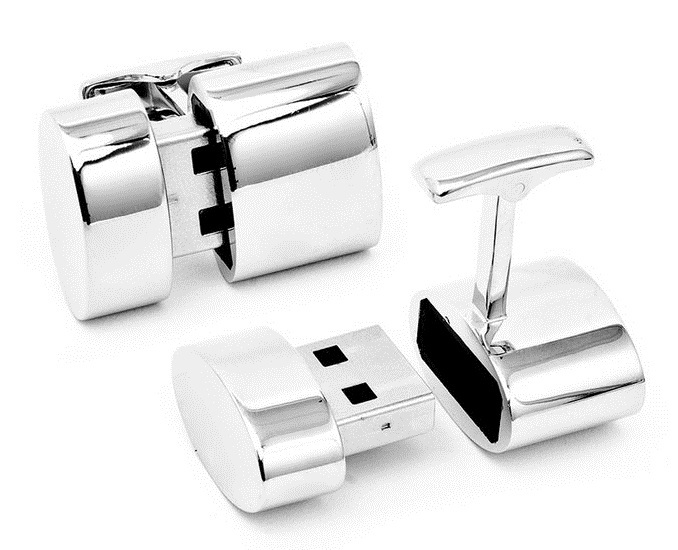 Shhhh, the point is that ladies will have to form an orderly queue as Brookstone is now selling polished silver Oval Wi-Fi 2GB USB cufflinks. It describes them as ‘perfect for business meetings, travel and techies everywhere.’ Downtime thinks they have conveniently forgotten to preface the word ‘techie’ with chauvinistic and minted.